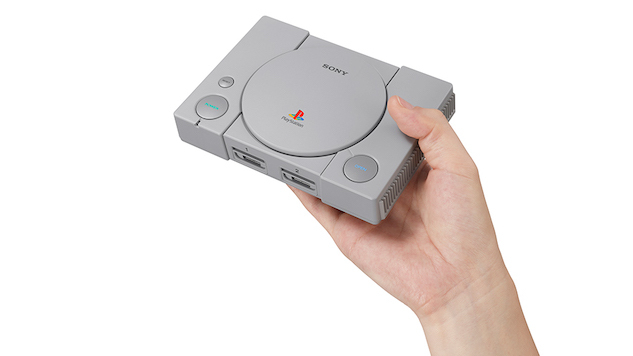 Sony released a new trailer for its Playstation Classic mini system on Monday morning, and a full list of launch titles along with it. Since its announcement, its been said that the console would feature 20 of the original PlayStation’s best games, leading some to speculate as to what Sony was planning to include. Some even thought Sony was waiting for fan input to decide on a lineup. Now we have our answer in the form of the full lineup, and there are some interesting picks on there. Many will be excited for Final Fantasy VII, Metal Gear Solid, the original Grand Theft Auto and even the first entry in the Persona series. Then you’ve got games like Cool Boarders 2. Sure, why not? The PlayStation Classic is set to launch on Dec. 3 for $99.99. For that price, you’ll have everything you need, except a power adapter—you’ll either have to shell out for another, or switch out cords from your PS4. Check out the full list of titles below, along with today’s trailer.